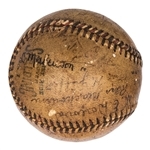 Offered here is an extremely rare multi-signed two-team baseball featuring the 1918 Cincinnati Reds and Detroit Tigers. 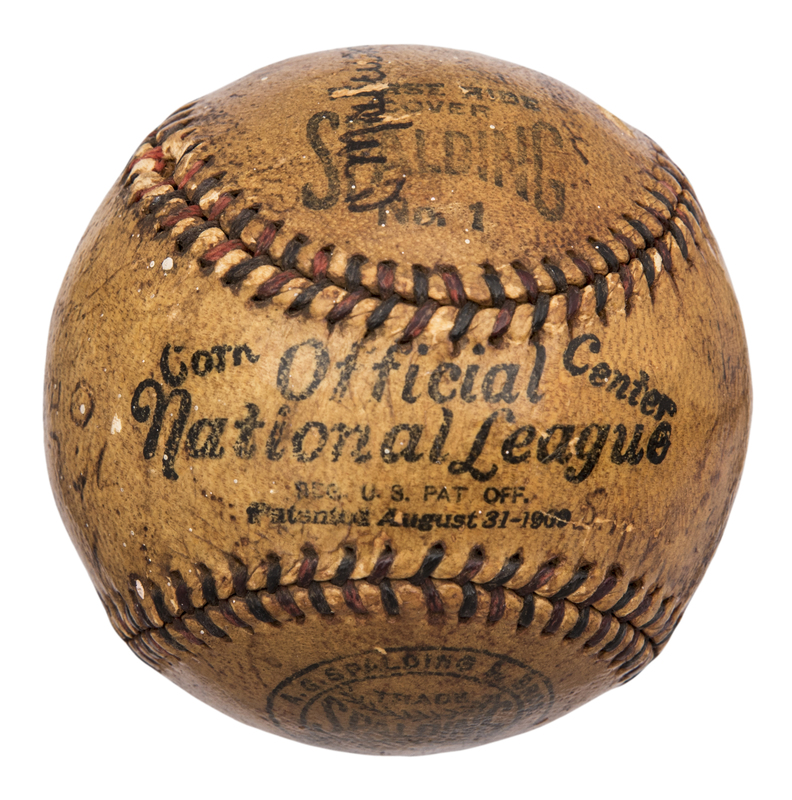 29 members of both organizations have signed this Official National League Spalding baseball. 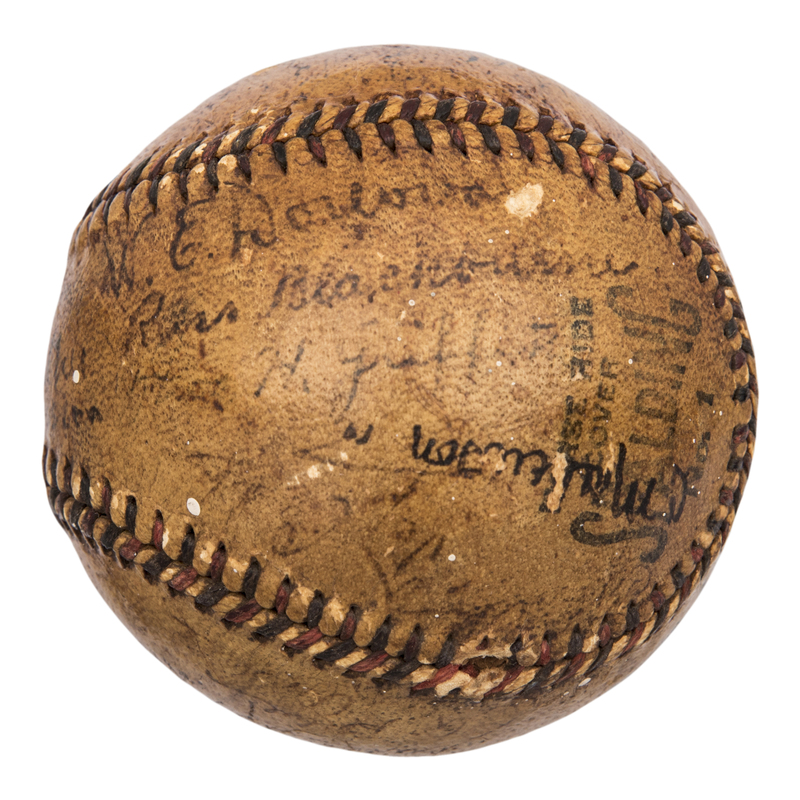 The Reds were managed by none-other than Hall of Famer Christy Mathewson, whose signature appears on the east panel. The Tigers were led by Hall of Famer Ty Cobb, whose signature is also on the east panel, directly below Mathewson. Two great signatures on the same panel from two of five members of the inaugural Hall of Fame. 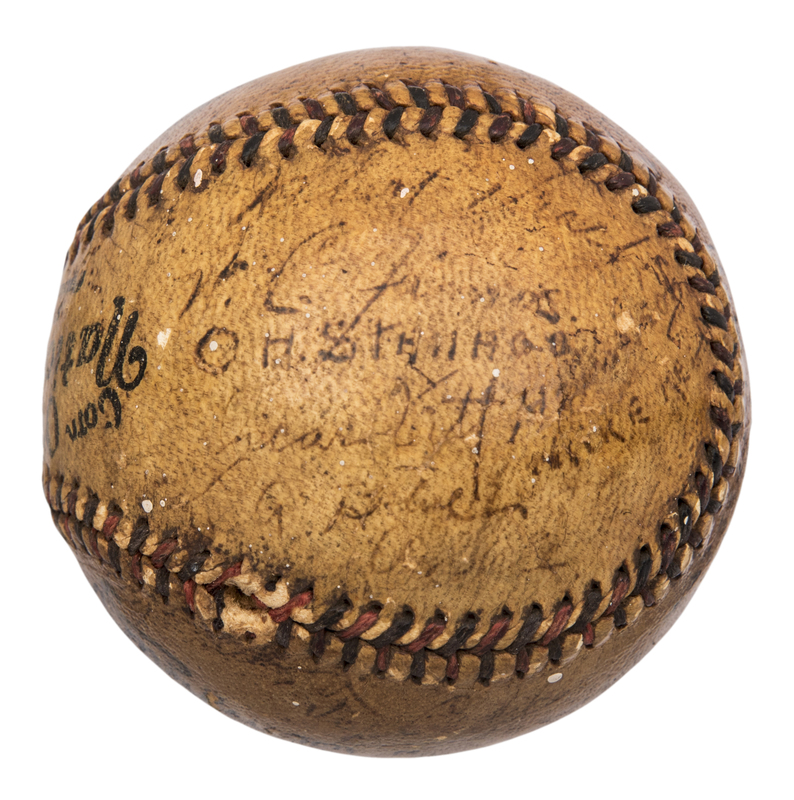 This baseball also has the signature of Hall of Fame manager Hugh Jennings, whose signature is on the north panel. 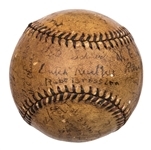 The sweet spot has the signatures of Pete Schneider, Rube Bressler and Dutch Ruether, all of the Reds. 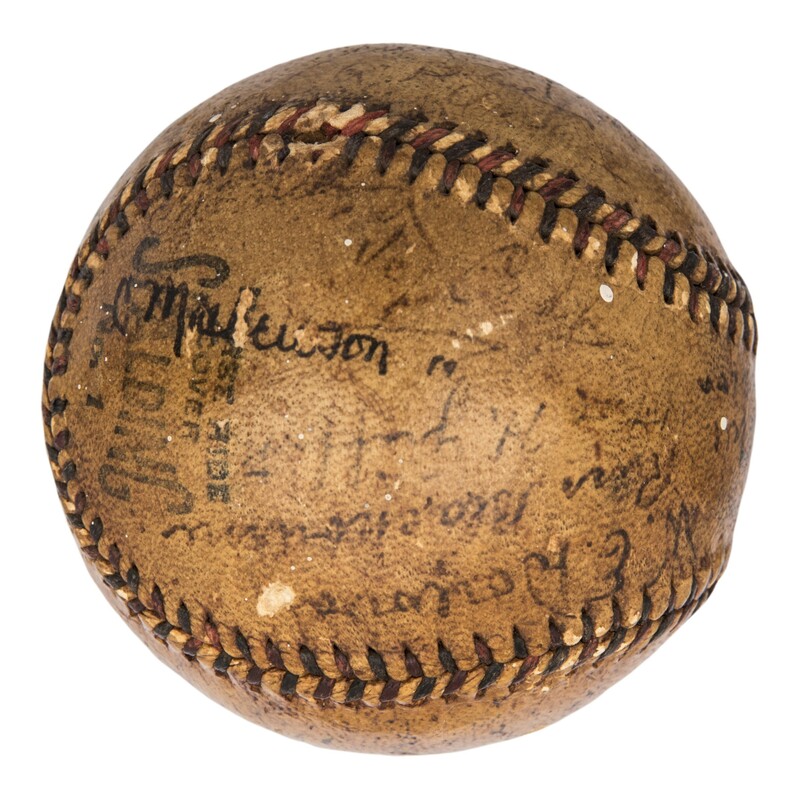 The north panel has autographs of the Tigers’ Bernie Boland, George Dauss, Happy Finneran, Joe Cobb and the aforementioned Hall of Famer Jennings. The west panel has the Reds’ signatures of Rudy Kallio, Harry Smith, Hal Chase and Ivy Wingo. The final two panels each have members of both teams with the east panel having the signatures of W.E. “Bill” Donovan and Cobb of Detroit with Lena Blackburne, Tommy Griffith and Mathewson of the Reds. The south panel has Mike Regan of Cincinnati and Bobby Veach, W.H. “Bill” James, Oscar Stanage and Oscar Vitt of Detroit. 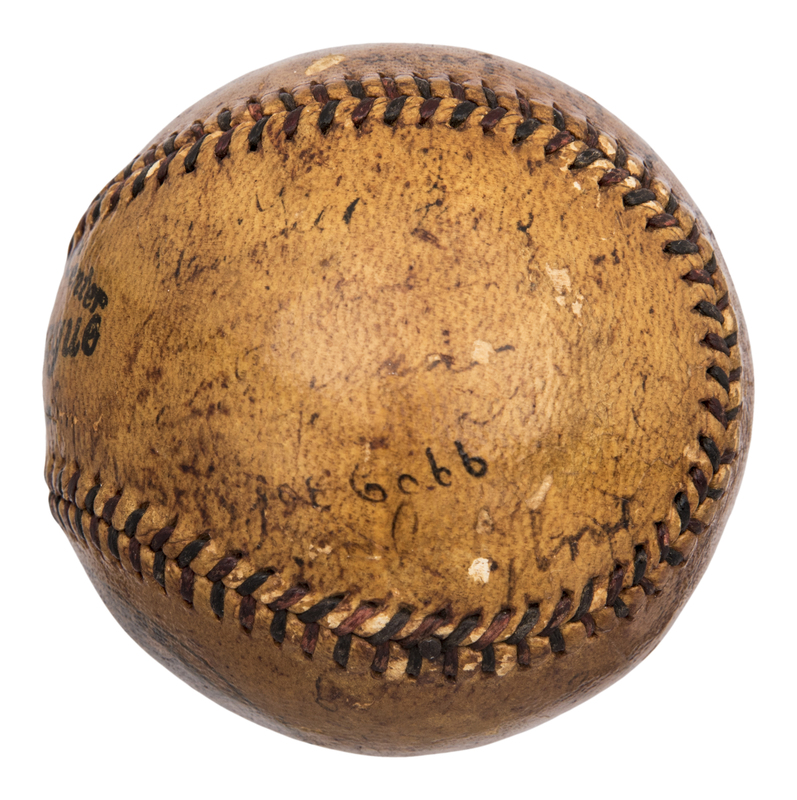 The ball displays heavy toning and has a coating of shellac. 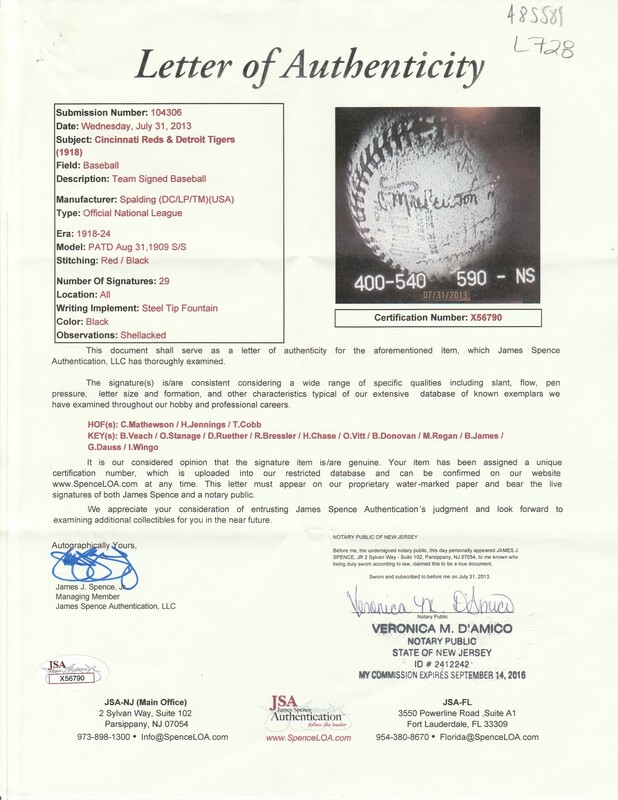 The signatures are light, but still readable and the stampings are clear. 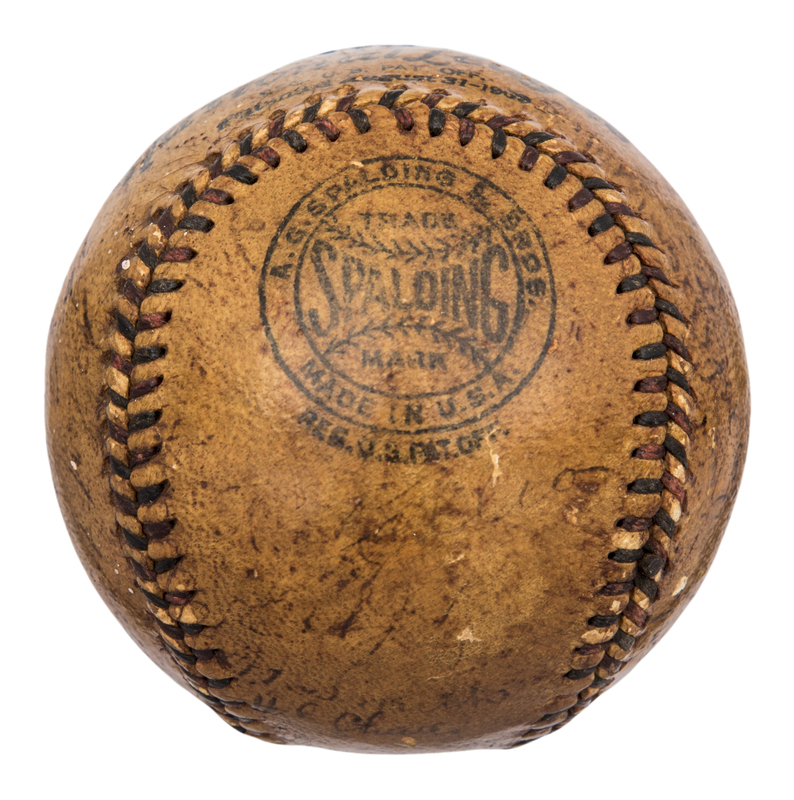 A tremendous World War I era baseball and it comes with a LOA from JSA (X56790).